Most people probably think that mums are an outdoor garden plant. 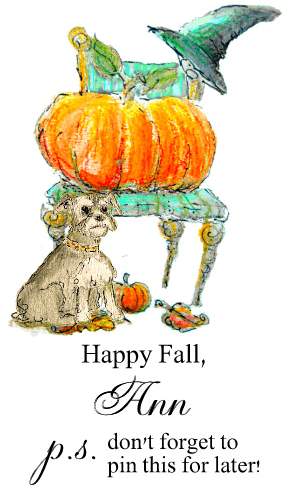 I have to agree…but I also bring them inside during the weeks of early fall. Before it’s time to buy pumpkins. Before it frosts and before I add touches of Halloween to my decor. 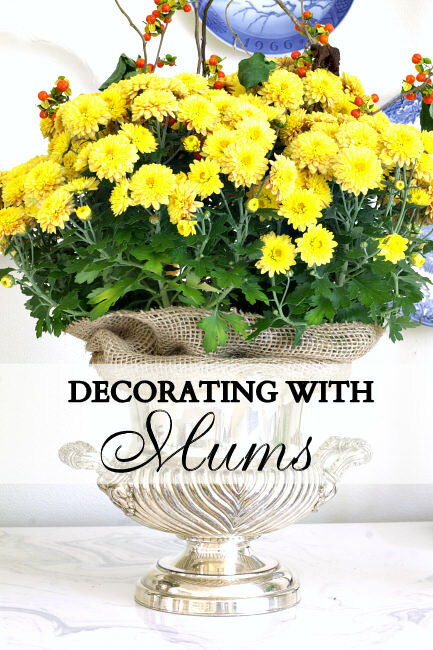 Decorating with mums is easy and inexpensive. It adds amazing texture to a room not to mention a terrific pop of color. I bought two plants at my grocery store about a week ago for $4.00 each. They were almost completely in bloom but there were still a few buds. I set them on my deck for a few days until they were in full bloom. Gather a container and an old knife. (I am using my silver urns. A large, short pitcher or bucket would work well too.) Pull the mums out of their pots and cut off at least half of the roots. Transfer the plant to your container, water and you are finished. Voila! 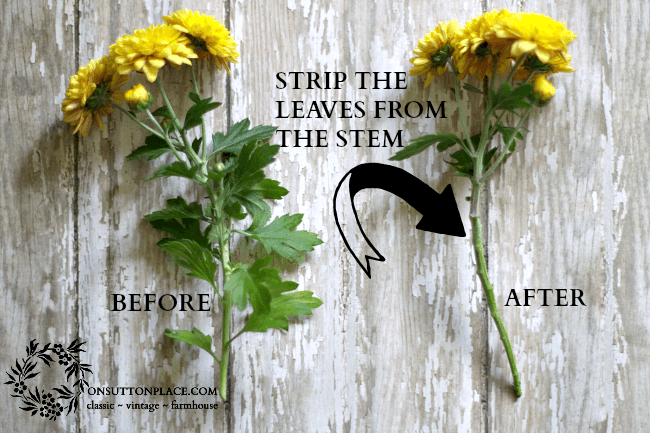 Speaking of stray stems, after you place the plant in your container, cut them off. Trim them as close to the main stem as possible so you can use them in small vases. Strip the leaves and trim the ends before putting in water. I used these tiny glass bottles for an arrangement on my sofa table. I paired them with pumpkins and lined them up like soldiers. I think this idea would look great down the center of a dining room table or along a windowsill. 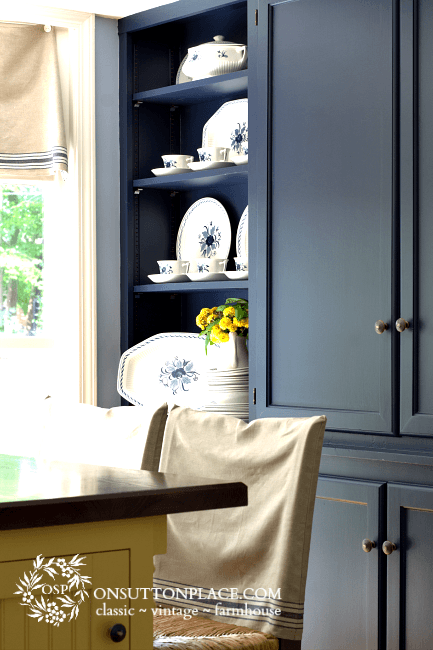 Don’t forget about your kitchen. 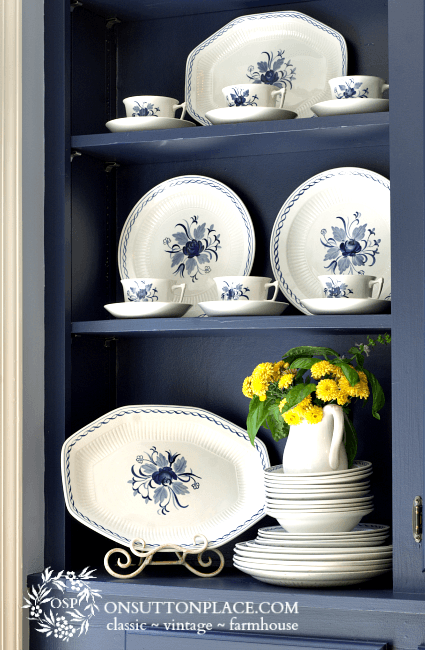 Pair the mums with herbs and it’s the perfect thing to set on your counter or an open shelf. Here I used basil and mums in a small, vintage ironstone pitcher. My herbs are still going strong. I have tons of basil, mint and rosemary in the container herb garden on my deck. I was worried about my basil for a while when something was eating the leaves. It rallied though and is growing like crazy. 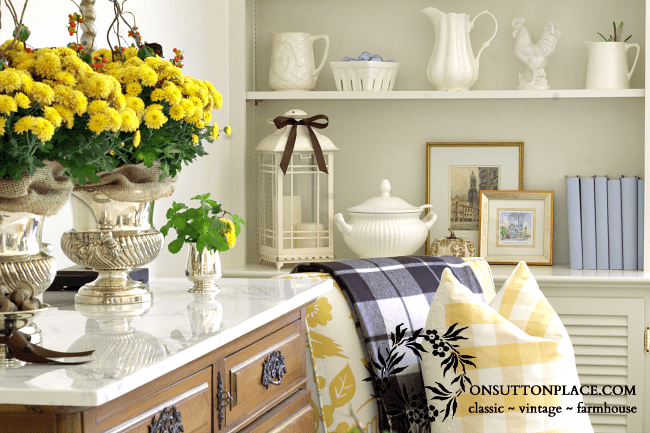 In the coming weeks, I am going to show you ways to decorate your home with natural elements. They bring a space to life, literally. I want to do it in a frugal way as well. I’m also going to try (try being the operative word) to show you how to take your fall decor and make it work for Christmas. By keeping things as neutral as possible I think it can be done. I’ll be back tomorrow with an exciting (ha!) Mod Podge pumpkin project. I can’t tell you how fun it was even though the Mod Podge made a mess. I promise anyone can do it too. 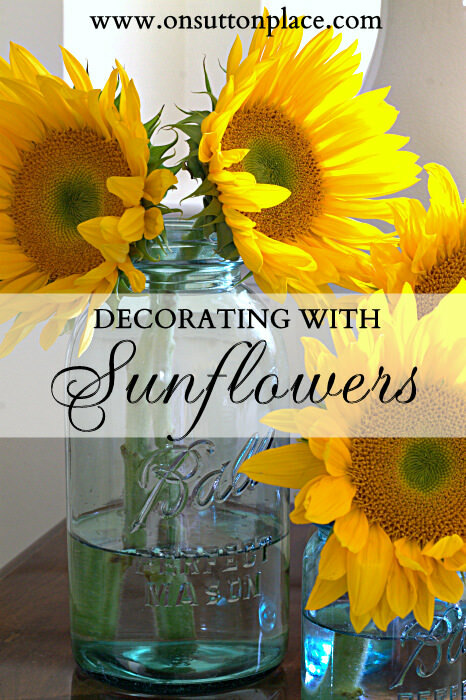 and Decorating With Sunflowers…just in case you missed them! Wow!! I am in love and smitten with your mums, absolutely fabulous, happy to find your lovely blog!! Lovely work, Ann. 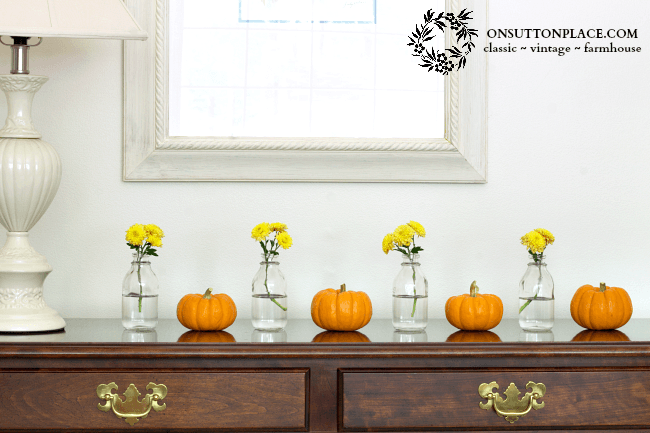 I especially like the miniature pumpkins and tiny glass vases with the stray mums … all lined up like soldiers. I never have success with mums outside, so maybe I should bring them inside, too. Pretty post, Ann! It all looks gorgeous, Ann! Like you, I pretty much stick to natural elements, so I can’t wait to see what you show us. 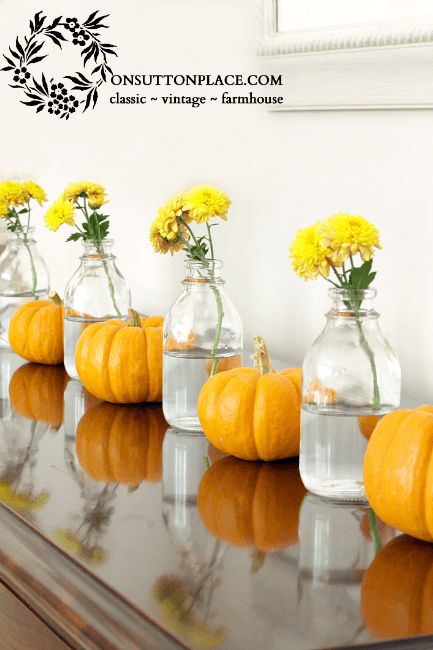 I really love the mum stems in vases, lined up with the pumpkins. The mums look great. I agree the burlap ribbon finishes off the edges. I would never have thought to cut off half the roots and shove the mum plant in an urn. Who knew it wouldn’t mind that kind of treatment, but I’m glad to know you tried it out and it works. Just lovely Ann! I love the fall and mums! Picture perfect gorgeous Ann! Those mums look stunning in your silver Urns. 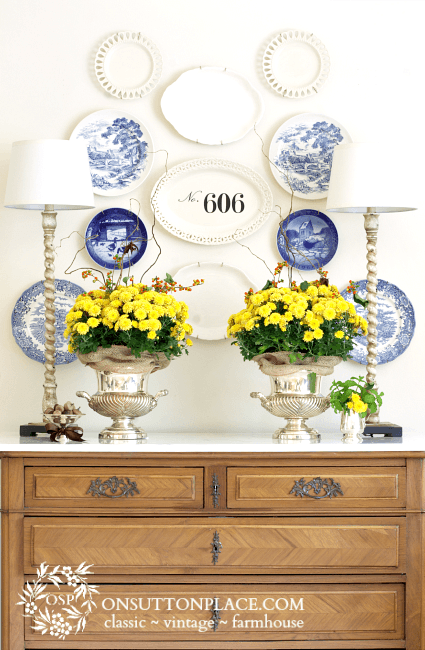 I love how you displayed the mums….beautiful touch of fall! I love Mums in fall, Ann! Beautiful ideas! Ann, your pictures belong in magazines ! 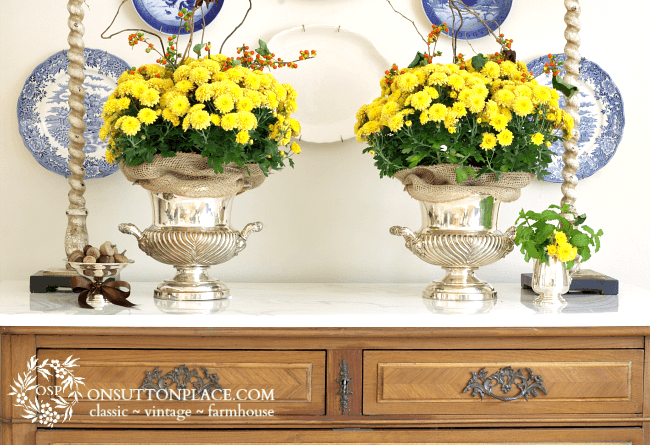 Ann, displaying the mums in the silver urns is GENIUS! They have never looked prettier! Pinning! Very pretty! You know that piece of furniture (what do you call it?) that you got and we convinced you not to paint just knocks my socks off every time I visit you. If I had it there isn’t enough money I’d take for it. Gorgeous piece! And makes all your pretties and arrangements just that much prettier! What a lovely way to bring fall and beauty to your home with Mums. I love them displayed inside the silver urns….exquisite. There’s no overkill there, Ann. You seem to know the exact perfect amount to use. Everything is so beautiful! I never thought to use mums indoors! I love this idea and I even have some small bottles for the “strays”!! Beautiful Ann! 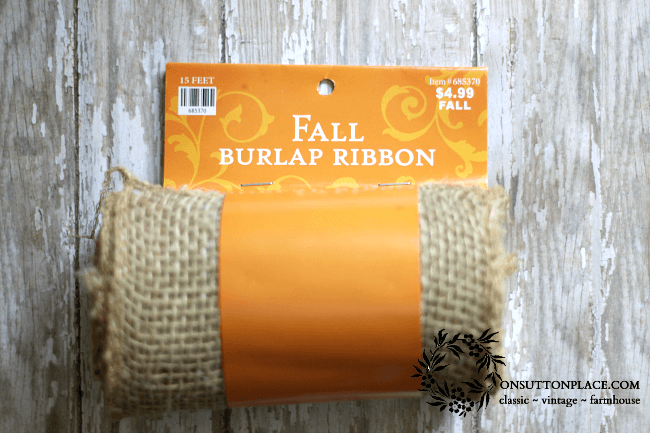 I love the burlap ribbon idea too. Ann you did such a great job. Things look so gorgeous. I love those pieces of silver that you always use! Magazine worthy! Mums never looked more gorgeous!!! Pinning! Ann, your mums are beautiful! 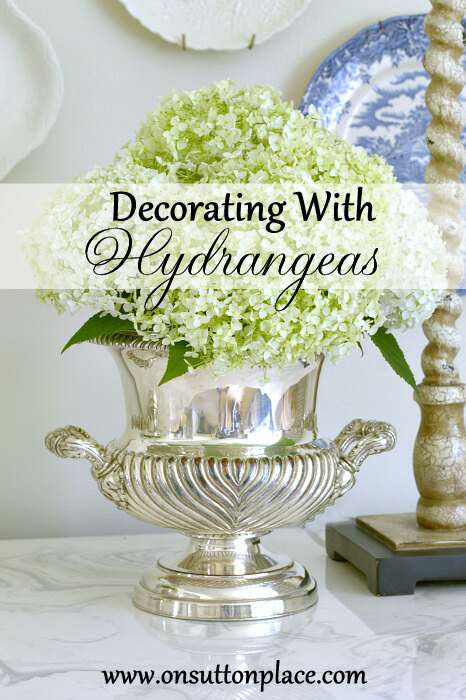 All of your containers are wonderful…I especially love the silver urns, with the touch of burlap! It’s such an elegant touch! How pretty they look in the silver urns! Absolutely BEAUTIFUL Ann — should be in a magazine!